On the Gran Sasso D’Italia, one of the highest mountains in Italy, there is a small village where my Great Grandparents were born in Villa Petto. They are the parents of my grandmother. I was born around just over 100km from Villa Petto, in a city called Pescara which is situated on the Adriatic coast in the Abruzzo region. When I was a child I spent 3 weeks every Summer at my Great Grandparents farm. It was very fun to be there with them and spend the day with the people from the village and especially elderly ladies who were always feeding me with super delicious homemade sweets. – Wake up and have fresh zabaglione with milk made by my Great Grandfather, alongside homemade biscuits. 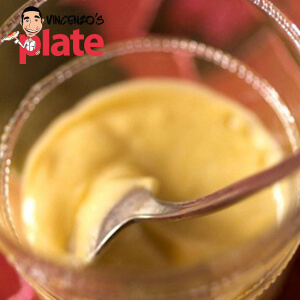 (Do you know what zabaglione is? After that, I would sneak to the back of the farm and run around scaring the chickens until my Great Grandfather would find me and tell me off. Ahaha I would get in trouble because then the chickens wouldn’t be able to lay eggs anymore! – After that was time for me to go and have fun feeding the pig lots of apples and then I liked to cuddle the rabbits. – Sometimes, in the afternoon I would find a pot of fresh homemade honey that my grandfather had made and I would dip my finger in and lick it off. It was the sweetest tasting honey I have ever had and to this day, many years later, I still haven’t tasted honey like this again. – Then, it was finally time to go to the vineyard and watch my Great Grandpa water the plants and check the vines. Every year in September we made the red and white wine from his grapes and I remember helping them carrying the grapes from the vineyard to the wine making room. When there was no one around I used to drink the freshly made wine from the wine making machine. It was really yummy..! – Then just before lunch, I would go down to the creek and watch the frogs jump around. I can’t believe how noisy they were! – Lunch time was the best as my Great Grandma always cooked really yummy dishes. I loved watching her make fresh pasta and sauces. 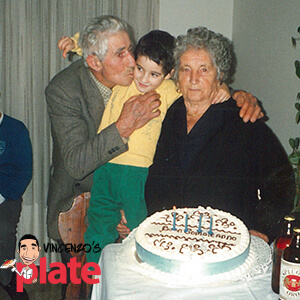 I can still remember the smell of the flavours coming from her kitchen… Pasta for lunch was a MUST for my Great Grandpa do we ate this every day but nonna made sure it was always something different. – After lunch is “siesta time” and everyone would clear the table and have a short nap. – By 3pm I would watch the cartoons on TV with the other kids from the village and have homemade bread with fresh jam as an afternoon snack. The jam was always different, depending on the season. It could have been strawberry, raspberry, sometimes even peach! – The afternoon was all about playing with the other kids and going for a walk with my Great Grandparents. – We always ate dinner at home and almost every night there was a guest over to share the meal with us or someone who came to visit afterwards, to enjoy a glass of vino the family. – After dinner we would go to the centre of the village where live music entertained the crowd as it was Summer and people liked to be out and about socialising. I was always told stories of their childhood or about when my Great Grandfather was a prisoner in Germany during the World War. He told me that for 6 months the only way to survive was to steal potato skins from the rubbish and eat them every day. What a strong man he was to get through this. When he returned from war and started a family, he always made sure there was amazing food on the table and that every meal is special, no matter what. I really think my Great Grandparents would be very proud if they could see me cooking and recreating our family recipes. 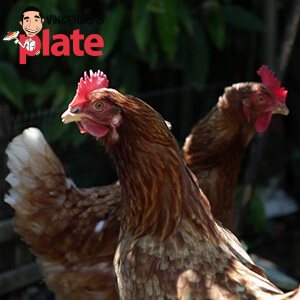 From the bottom of my heart I would like to thank them for teaching me what love, respect and passion for life and food is. Now it’s time to have a glass of Vino and dedicate it to my Great Grandparents.